HRC Foundation and SAGE, the world's largest and oldest organization dedicated to improving the lives of LGBTQ older adults, announced a historic partnership to fundamentally improve the experiences of LGBTQ older adults as they seek long-term care and services. A centerpiece of the effort will be the Long-Term Care Equality Index (LEI), the first-ever nationwide assessment of how long-term care facilities are treating their LGBTQ residents. The new survey will build on the decade-plus success of the HRC Foundation’s Healthcare Equality Index (HEI), which scores healthcare facilities on policies and practices ensuring the equitable treatment and inclusion of their LGBTQ patients, visitors and employees. As work begins to develop the specific evaluation tools for the LEI, facilities are being asked today to take the first step by signing onto the HRC Foundation and SAGE’s “Commitment to Caring” pledge. Leaders from HRC and SAGE made the announcement today in New Orleans at the annual American Society on Aging Conference -- the nation’s largest multidisciplinary conference covering issues of aging and quality of life for older adults. The American Society on Aging is the first signatory to the pledge. 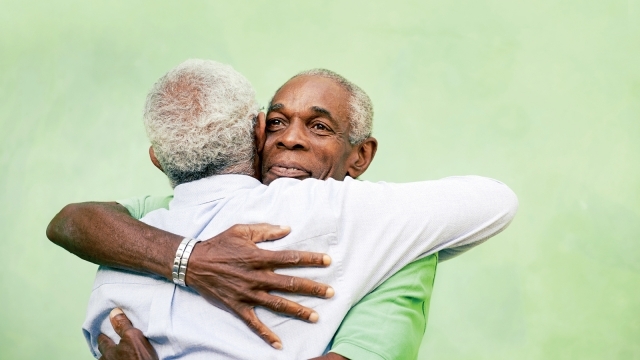 The invisibility of LGBTQ elders, many of whom remain closeted or return to the closet when they enter residential care, has perpetuated the false perception that there isn’t a pressing need to make policy or practice changes ensuring that care facilities are welcoming and inclusive of LGBTQ elders. And for LGBTQ Black and Latinx community members, there is compounded fear of discrimination and inadequate care based not only on sexual orientation and gender identity but also bias and health disparities rooted in race and ethnic identity. Forty-three percent reported instances of mistreatment. This joint effort, generously supported by Ted Snowdon and Duffy Violante, will also include a nationwide campaign to raise awareness of the specific needs of LGBTQ elders. A Pfizer-funded 2015 study commissioned by HRC and SAGE of long-term care providers and association-level aging services organizations found that a tool to assess practices and help build capacity within the aging services field is a timely and much-needed initiative.